Obituary for Norbert C. Irish | W. Orville Kimmel Funeral Home, Inc.
With his wife and granddaughter by his side, Norbert C. Irish, 78, of Enola, PA and formerly of Corry and Erie, passed away peacefully Monday, October 1, 2018 at West Shore Hospital, Mechanicsburg. Born May 8, 1940 in Erie, he was the son of the late Evelyn Phillips Irish and George H. Irish and was a graduate of Strong Vincent High School. In 1959, Norbert entered the US Navy and served four years with an additional two years in the Naval Reserves before being honorably discharged as a Radioman Second Class. He served as a Pennsylvania State Police Trooper for ten years prior to being employed as a Financial Manager with Beneficial Corporation, retiring after 23 years. He next worked for Zimmerman-Auer Funeral Home, Harrisburg, until 2010. During his time with the State Police, he met and married the former Virginia E. Auer, with whom he would have celebrated their 46th anniversary on October 14th. Norbert was a member of Perseverance Lodge No. 21, F&AM. His hobbies included Phillies baseball, watching movies, listening to music (George Jones was his favorite), and he was a model train enthusiast. 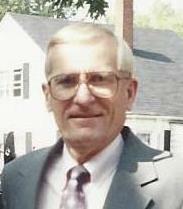 In addition to his wife, Virginia, Norbert is survived by two sons: Christian E. Irish of Northeast, PA and Bryan P. Irish, and his wife Lauren of Alexandria, VA, and a granddaughter Mekenzy E. Irish of Fairfax, VA.
Services will be held at the First Presbyterian Church, 607 W. Smith St., Corry, 11:00 am, Saturday, November 24, 2018 followed by a Masonic Service and luncheon in the church's Fellowship Hall.